Yarra Valley Lowline Stud “Willow Bank” Farm – Lowlines bred and raised in the Yarra Valley region of Victoria. Lowlines bred and raised in the Yarra Valley region of Victoria. Yarra Valley Lowline Stud is located in Victoria’s picturesque Yarra Valley. 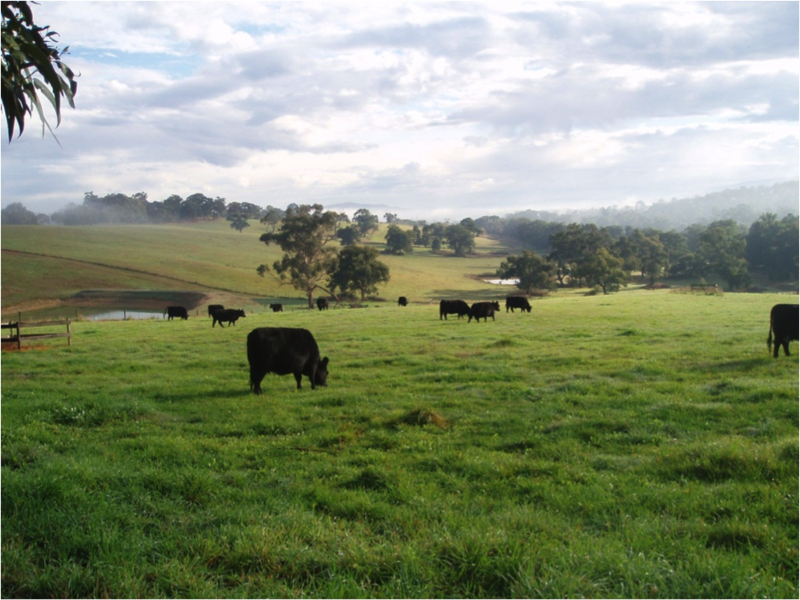 Our Stud was established in 2004 and is committed to breeding top quality Australian Lowline Cattle. We’re passionate about our animals having the highest quality of life and believe it’s important to promote a healthy system of production, ensuring a natural link between the land and our food. Our cattle are grass fed in a free range environment, with supplementary feed provided from hay cut on our own property and fed out in the leaner winter months. Over the years we’ve planted several hundred meters of native shelter belts to protect our cows and their young calves from the chilly Yarra Valley winds. Yarra Valley Lowline Stud is a member of the Australian Lowline Cattle Association, and an active member of the Southern Region Promotion Group which promotes the benefits of the breed.